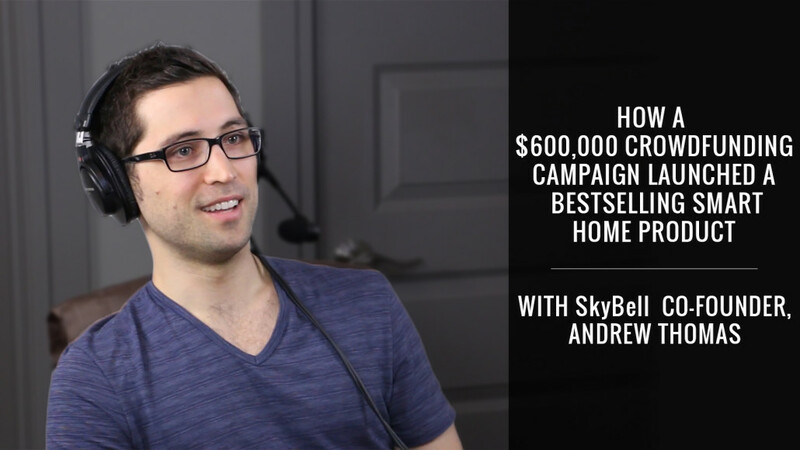 Andrew Thomas is a co-founder of SkyBell – a smart home security company that is making homes and neighborhoods safer – starting with the front door. The SkyBell Video Doorbell allows homeowners to see, hear and speak to the visitor at their door from a smartphone. SkyBell has raised millions in funding, was named as a 2014 CES Innovations Award Nominee and is sold via Amazon, Best Buy and Home Depot. Andrew is responsible for SkyBell’s business development and partnerships – leading SkyBell’s integrations and partnerships with Nest, Honeywell, Amazon, Apple, Comcast and more. As a contributor, Andrew shares his ideas and experiences by writing, speaking and appearing in visual media. His articles have appeared on Forbes, Inc.com and Huffington Post – covering topics including startups, the Internet of Things, crowdfunding and personal growth. Andrew has been interviewed on national TV, print and industry podcasts. Before SkyBell, Andrew directed web and mobile development projects for clients after beginning his career as a member of Google’s search relevancy team. A sense of adventure led him to Shanghai, China where he managed web development projects for a large Chinese video game company. Andrew graduated from USC with a BBA in Finance. I’m really impressed by how the SkyBell team went from idea to a $600,000 crowdfunding campaign, to mass producing a high-quality product in just a few months.